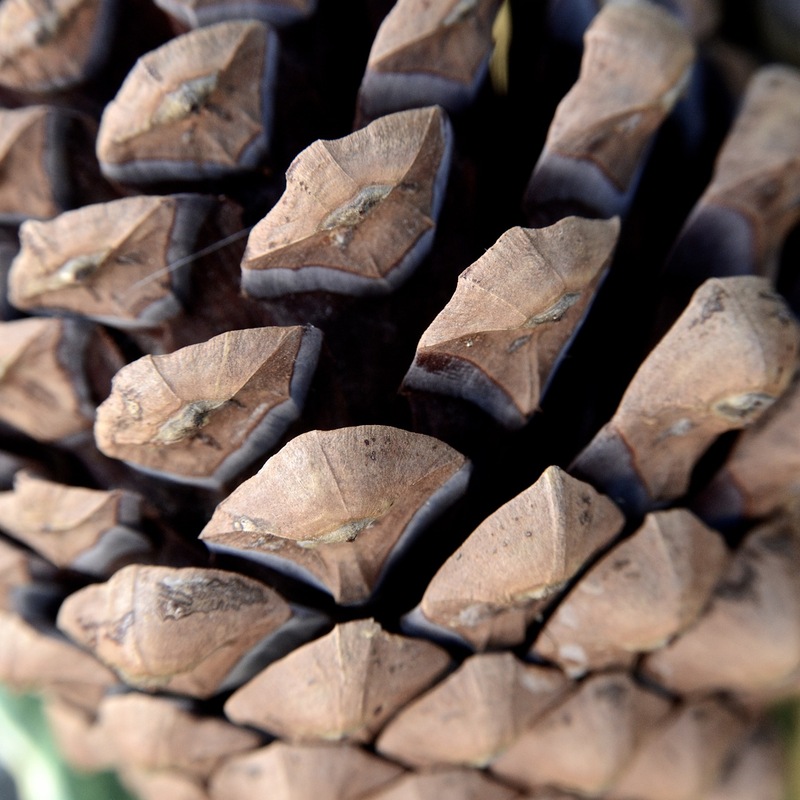 This cone - the perfect container for seeds of the Stone Pine - rested silent, heavy, dormant on our windowsill. It sat there for months, then for a year, then for another. It moved house, changed locations, then took its place in a group of three cones on a plate painted with a sunflower. Silent, heavy, sleeping. Three years passed and then it changed. 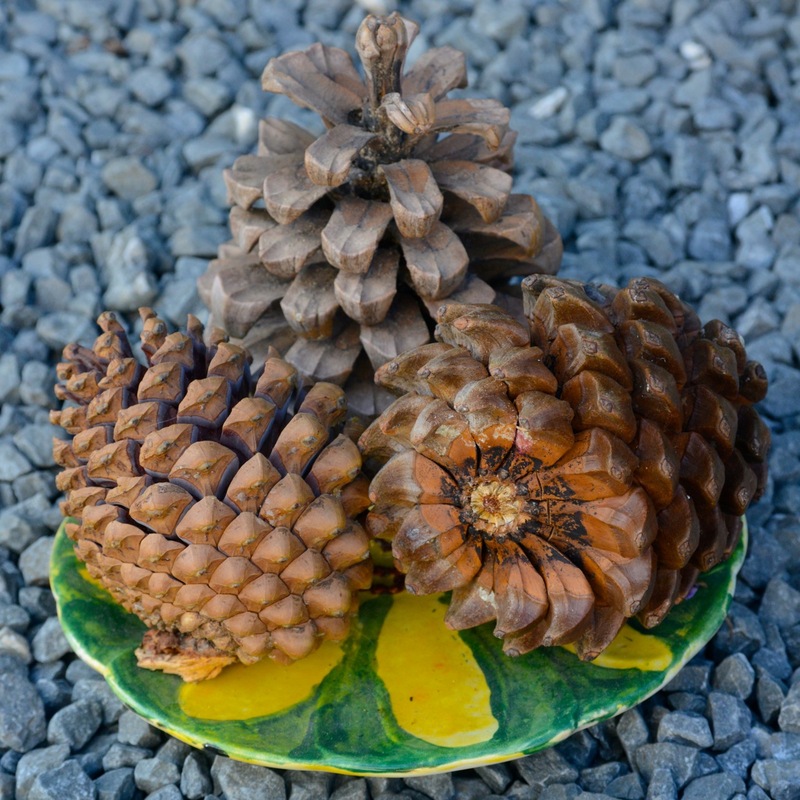 The cone shifted in its woody way from stone to flower – unseen by our eyes, its fronds had opened like petals, and around the cone, on the green and yellow of the sunflower plate, were the seeds. Silent pips of potential one step closer to their purpose of contributing to a woodland, a forest. We gathered the seeds, put them in a film canister and popped them in the freezer. Into the deep cold of a long hard winter. Silent and still dormant. Spring came and we thought it worth a try. We took the seeds from their artificial winter’s stasis and laid them in earth. We turned up the heat with the month of May and the surround of a glass house. And we waited. One, two, three small green curls beneath the earth at first. Then ten. 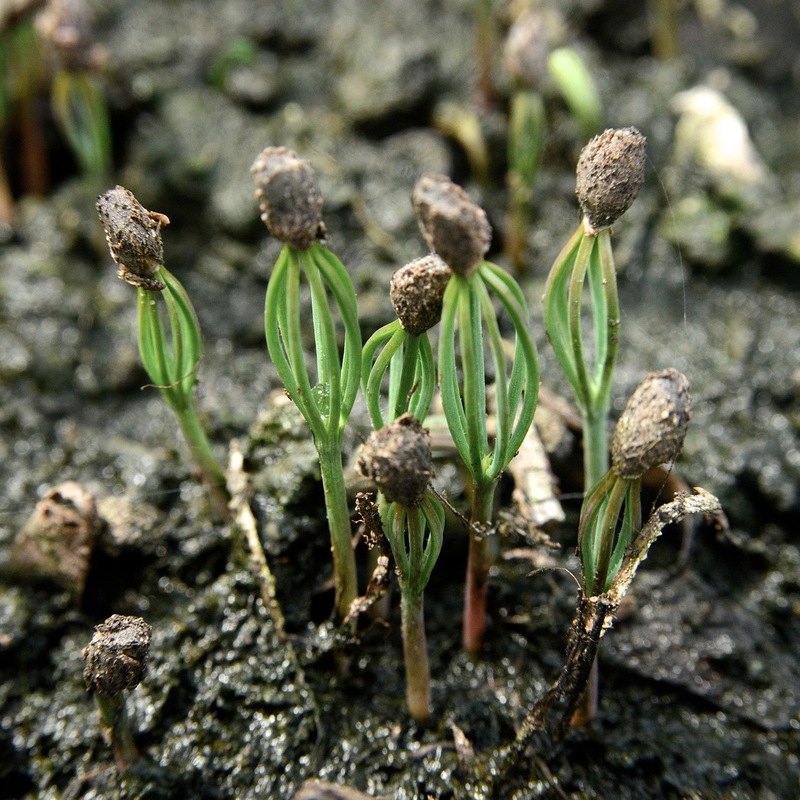 Now more than fifty are beginning to stand straight, pushing the seed coat from the unfurling leaves. Soft thin delicate leaves these needles are for sewing promise into the air. It's not a miracle, it's nature. But it feels like a miracle. Our watching shifts from curiosity to wonder to tenderness to hope to joy. Life. Its magic starts always with the small things, and continues with the passing of time. These sprouted seeds will now be nurtured and then handed on to the next generation, our children, our nephews and nieces, who can watch them grow and find a place for them to flourish. And one day, maybe, watch new cones form.